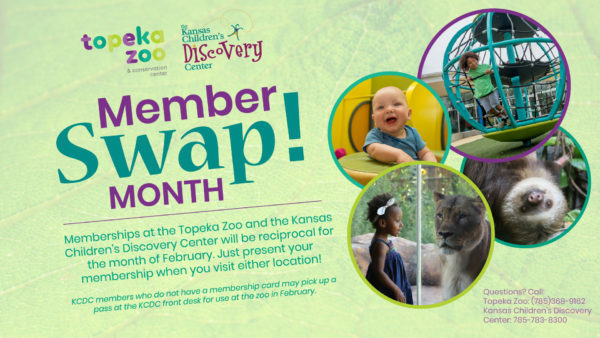 Memberships at the Topeka Zoo and the Kansas Children’s Discovery Center will be reciprocal for the month of February. Just present your membership card at either location. KCDC members who do not have a membership card may pick up a pass at the KCDC front desk for use at the zoo in February.